We are into February already, are you on track with your fitness and healthy lifestyle? I know I am trying hard but you know how it goes, LIFE happens. Also, a great friend and I started a FB group for us to each share all the amazing deals, sales, freebies, giveaways, etc., that we find landing in our inboxes. Come join at Penny Pinchin Divas. You will see latest deals first so this page might get long and you might see deals for the same company further down, but due to companies changing weekly they might not always work all month long. Rocky Mountain Oils – 29% off site wide, plus a free mystery oil with orders of $75 or more. This is called the Unleap Day Sale! Sale starts Feb 28th at 10am MST and ends March 4th at 11:59pm MST. EatNui – I hear they over baked and are trying hard to clear out of their GingerSomething cookies. Let me just say, if you haven’t tried these you are so missing out. And with this great deal, I think you all need to grab a bunch. Hurry over to their site, fill your cart with GingerSomething and take 50% off by using code GINGERSOMETHING50 – and keep in mind if you add other items to your cart it won’t work. This is ONLY for the Gingersomething cookies. KissMyKeto now offers FREE shipping on all orders no matter the size. They have some great discounts right now. They don’t have any specific deals right now, but as always you can save with my discount code. Use LSGKETO to save 10% on all orders. I totally love this company and love the boxes and the deals they offer. If you eat meat at all, you need to check them out. There meat is the best! Check out a couple of their February Deals. Click the image. They have some new goodies for February. 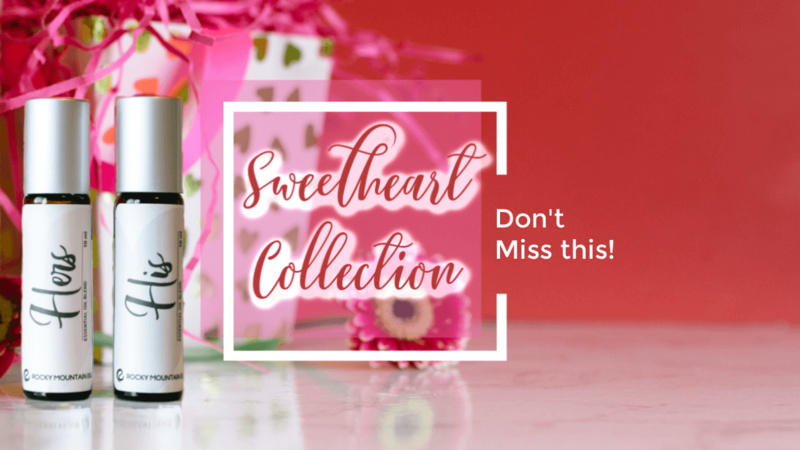 Check out their Sweetheart Collection. It’s a his and hers roll on oils. And they released a new blend called Lucky Dragon. Both of these February newbies are for a limited time so snag them fast. There are no additional discounts on these, but if you shop with Rocky Mountain Oils you will know that you earn points on all your shopping. Click each of the banners above to shop. And stay tuned as I will update on their deals all month. They still have stock of their GingerSomething Cookies they are trying to clear out. You can use my discount code and order up some before they are gone. These are my FAVORITE low carb/keto snack. If you haven’t tried them, now is your chance. The code however is ONLY for the GingerSomething. Use code LSG20 at time of checkout. You can only add the GingerSomething to your cart in order for the code to work. So, if you want to order other flavors you will have to place 2 orders. Have you heard of this new coffee and creamer? NeuRoast is a Mushroom Coffee. They offer the mushroom coffee and an amazing dairy free, coconut milk creamer loaded with a ton of adaptogens. Take $10 off a $50 order with code 10OFF50 at time of checkout. This coffee and creamer is amazing!! 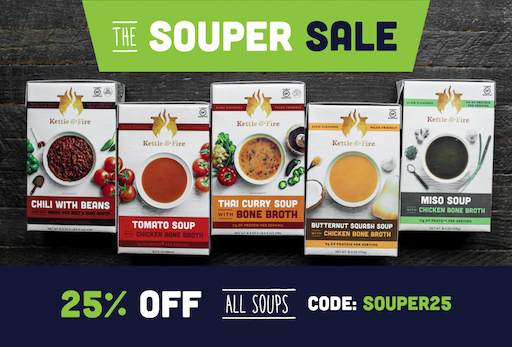 Save 5% off any order $50+ at Great Low Carb Bread Company! Use code savingsfebruary2019 when you checkout. 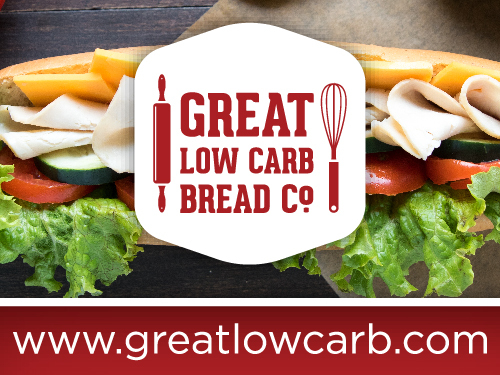 Spend $100.00+, Receive FREE Flat Rate Shipping at Great Low Carb Bread Company! Use code freeshippingfebruary when you checkout. SAMPLER BOX – Don’t Forget! 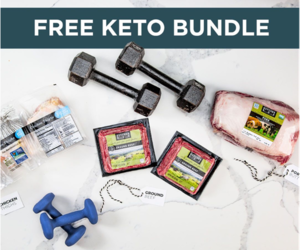 They have a best of the best sampler box that includes a loaf of low carb plain bread, a bag of low carb everything bagels, bag of low carb fettuccine pasta, a Paleo chocolate chunk cookie and a chocolate brownie. Perfect for diabetics, people with hypoglycemia, bariatric patients, children with seizure disorders and for low carb/keto dieters. All for $35.00 including US postal priority shipping 2-3 day. Click banner below to shop. Get a sweet deal this February from Love With Food. 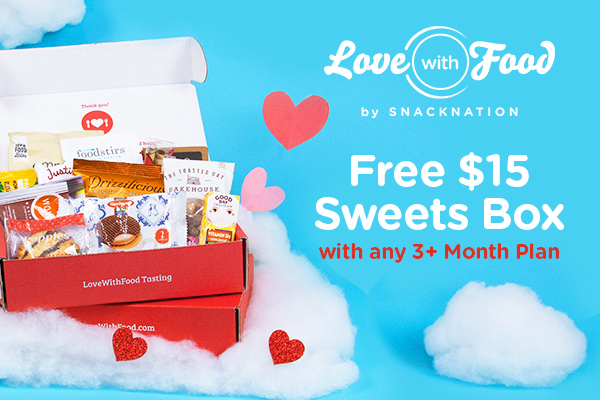 Free $15 Sweets Box with any 3+ Month Plan. Click the banner below to shop now. Looking to jumpstart your healthy goals? Try a juice cleanse by JusbyJulie. I loved my results when I did it. Get 30% OFF Sitewide and Free Shipping (no minimum) with a promo code FREESHIP30 – Offer expires on 2/10/19. (hurry hurry) Click the banner below. 3 items for $39.95 plus FREE Shipping. Click the banner below to shop for your fun outfits. You all know how much I love animals and I can’t forget to give you great deals on animal goodies. Check these out. Click each banner/button. Now that I have shared all the awesome deals for February with you, how about a fun giveaway to win some healthy snacks? I have 4 boxes, filled with some yummy snacks just for you, to help keep you on track with your fitness and healthy eating. Everyone needs to fuel their day with power nutrition so these snack boxes will be great for anyone. Enter below. Giveaway End February 28th at 11:59pm CST. Winners will be contacted March 1st and asked for a full shipping address so Living Smart Girl can ship the prize. How about some grocery shopping coupons?